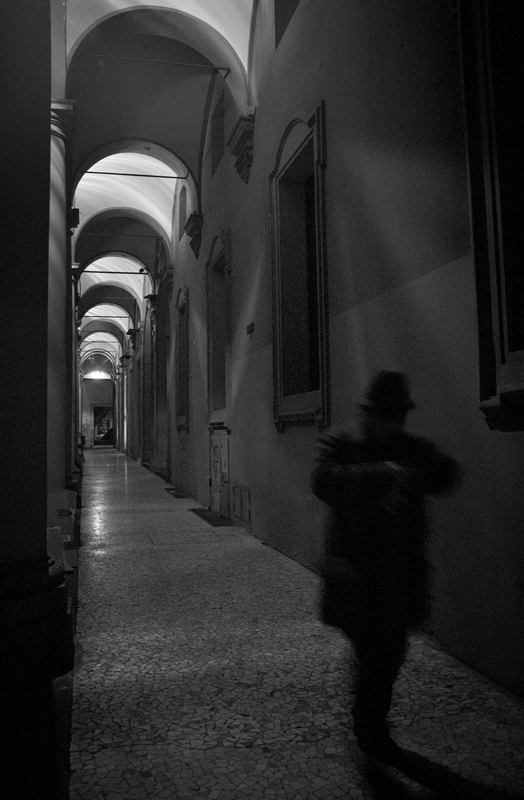 I was setting up for a shoot down this corridor, it is a covered sidewalk in Bologna, don’t know if you call that a corridor in English, well anyway, just as I was done setting up my tripod and so on, this man came walking from the other end of the sidewalk, and as I stood there waiting for him to pass, I noticed that he was checking the time, and in a split second I pushed the shutter release and ended up with this photo. Converted to black and white and contrast adjusted in Photoshop, I also added a little grain to it. What time is it? by Bo47 is licensed under a Creative Commons Attribution-NonCommercial-NoDerivatives 4.0 International License.